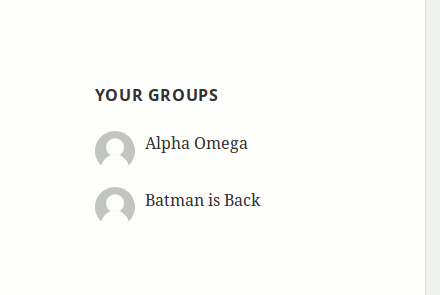 BuddyPress Extended User Groups widget plugin allows listing of current user’s groups in a widgetized area. It makes it easy to control which groups should be listed and how many of them. It provides easy admin options to control the various criteria. These listings can be further customized to list groups based on popularity/activeness.